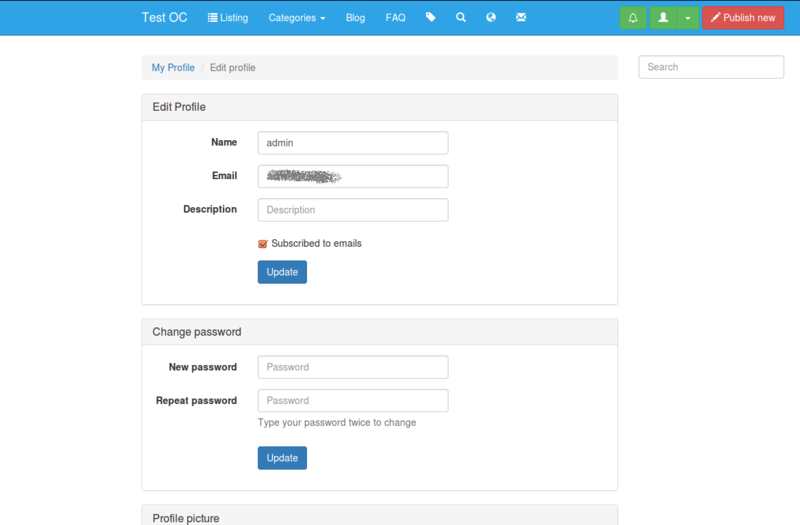 This feature allows you to change your displayed name, your email, add a description about yourself, add your account to the website’s subscribers and change your password. You can also upload a profile picture! Visit the website, log in and choose Edit Profile on the dropdown menu on the right of the header, as you can see in the example below. Don’t forget to press update when you finish editing your profile!